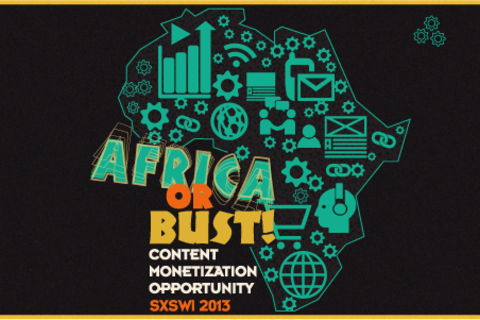 A huge opportunity exists for content creators, service providers, brands, and media companies on the continent. In Africa, more people than ever have access to the internet, to the tune of 140 million, but this only represents 13% of the population. By 2020, internet penetration in Sub-Saharan Africa is expected to reach 24.7%, outpacing internet penetration rates across the globe and representing a virtually untapped market with unlimited potential. Africans are using their newly acquired connectivity to engage each other, launch tech starts, develop apps, create content and organize grassroots movements. From mobile money to “smart’ water pumps that send SMS messages when they need repair, Africans are using the web to solve local problems and diversify their economies. This panel will look at the growth, size and characteristics of Africa’s internet market, analyze country specific trends, discuss the content being produced, and outline opportunities for collaboration &investment. Ngozi Odita is founder of Society HAE (SHAE) an online media site and production company that promotes emerging art and culture from a global perspective. Odita serves as SHAE’s Creative Director and Executive Producer. In the role of Creative Director she leads a small but awesome group of writers and digital creatives. As a collective Odita and her team produce video shorts and articles for www.societyhae.com that focus on fringe artists, new ideas, cultural events, style and music. As Executive Producer, Odita works with artists and arts organizations to produce public programming that includes art exhibitions, film screenings, concerts & artist talks. Odita is also the founder of AFRIKA21, a media and production outfit that takes a multidisciplinary approach to promoting a new vision of Africa in the 21st Century. AFRIKA21 produces online content, multimedia events and public programming with the expressed purpose of reframing the conversation around Africa, creating awareness of the opportunities that exist on the continent and encouraging collaboration. As a consulting agency and production house, programming includes Social Media Week Lagos, AFRIKA21 Radio, an on-going panels series at the annual South By SouthWest Conference and The AFRIKA21 Mixtape Project. AFRIKA21 works with institutions, organizations and brands looking to engage Africans on the continent and in the diaspora.